Please note that these are NOT 30"x57' that are competitors are selling. Ours are 30"x63' you get more for less. Plus these are commercial grade quality which means a lot thicker, heavier and will last longer. 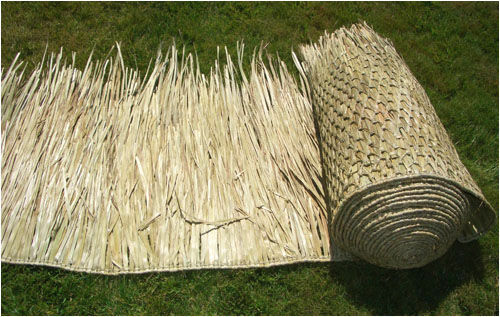 Specifications of Mexican Rain Cape Thatch: Hand-woven palm leaf sheet is for 30" x 63' x 1" thick and weigh 48 lbs each roll. Sold individually in one long thatch roll. Can measure up to 65' long. Mexican Rain Cape Thatch Dimensions: 30" x 63' x 1" thick. Each roll provides 105-115 sq ft of coverage. Please allow material for overhang also when calculating thatched material. 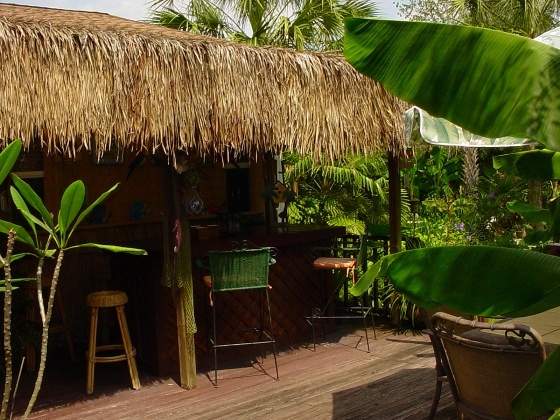 Add 1-2 years to your thatch life by purchasing our Thatch SealerTM for $50.99 a gallon with free shipping and it will cover one thatch roll on both sides.